On a roll today, adding all these gorgeous colours for you create your knitting and crochet masterpieces. New baby wool now on the website, gorgeous colours. Just in a new knitting book by Annette Hefford. 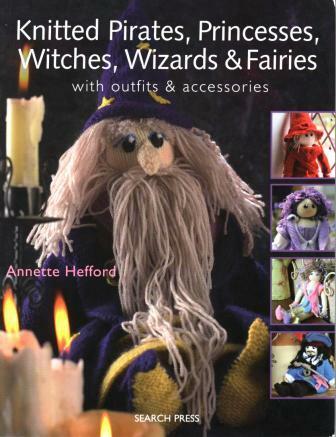 Knit witches, wizards, pirates, princesses and fairies. I have just had a browse through and have to knit these myself, so gorgeous and if you love knitting and heaps of little bits leftover this is a great way to use them up. My son has just given me the news I am to be a granma, wahoo, out come the knitting needles and quilt for baby to make. I know he loves Elmo so I will knit a small one for the toy box first. Not sure if boy or girl. Just had to make this for a break from cross stitching my Peacock Lagoon Chart from HAED. 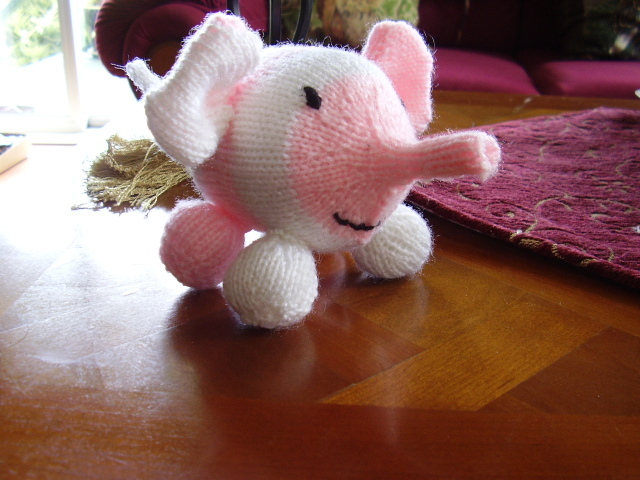 This pink and white striped elephant pattern was free on the internet so with many thanks to the designer Shar from knittycat I spent a pleasureable few hours and got a great laugh when I had completed Nellie the Elephant.